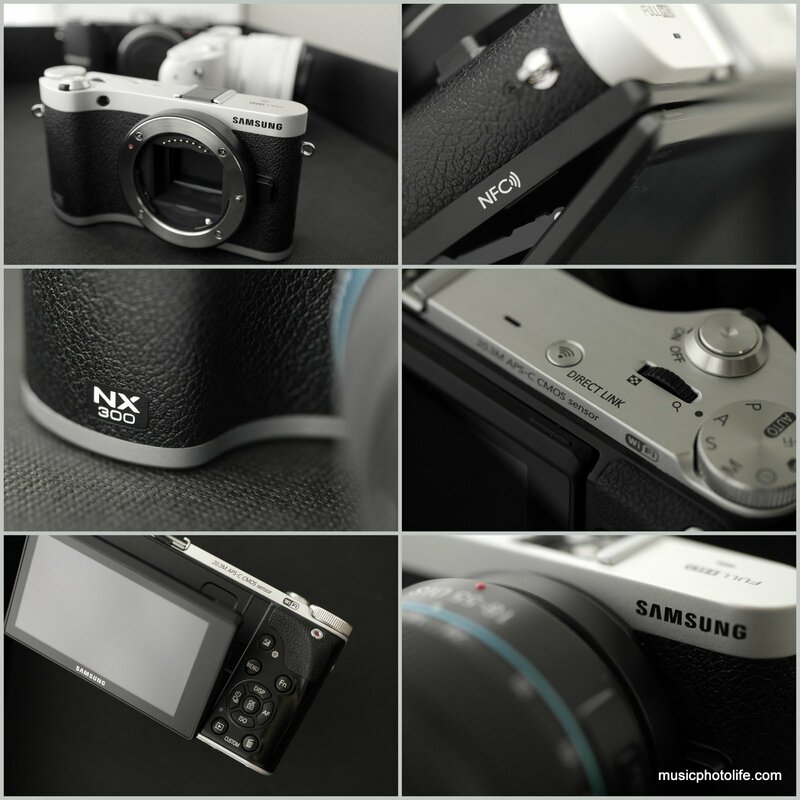 When Samsung launched the NX10 in 2010, I was impressed with its design that is oriented towards professional use, with image quality that surpasses other mirrorless competitors at that time. I was sold by its form factor, the number of buttons and controls available for the user to make quick shooting changes. 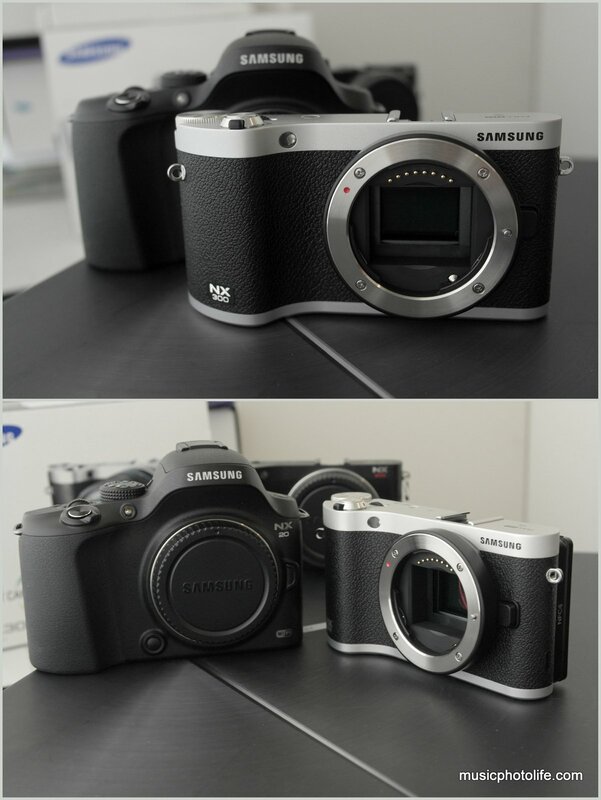 Samsung then released the NX100 for the market segment who prefers a modern rangefinder look while retaining the same user convenience. The i-Function was introduced to make shoot setting changes even easier. The rangefinder design is further re-thought with metal-body NX200, and NX11 was launched with minor design enhancements, but the innovation did not leapfrog, merely changing the interface, increasing pixel count, adding shooting effects. I thought the camera interface got more laggy, which I attributed to more processor-intensive features. The third-iteration NX-series (NX210, NX20, NX1000) introduced Direct Wi-Fi functionality that lets you link the camera to your smartphones for wireless image transfer, and increased its focus on the entry-level market. The image quality, however, did not improve drastically and by that time, other mirrorless competitors have overtaken and delivered stunning low-noise image quality. 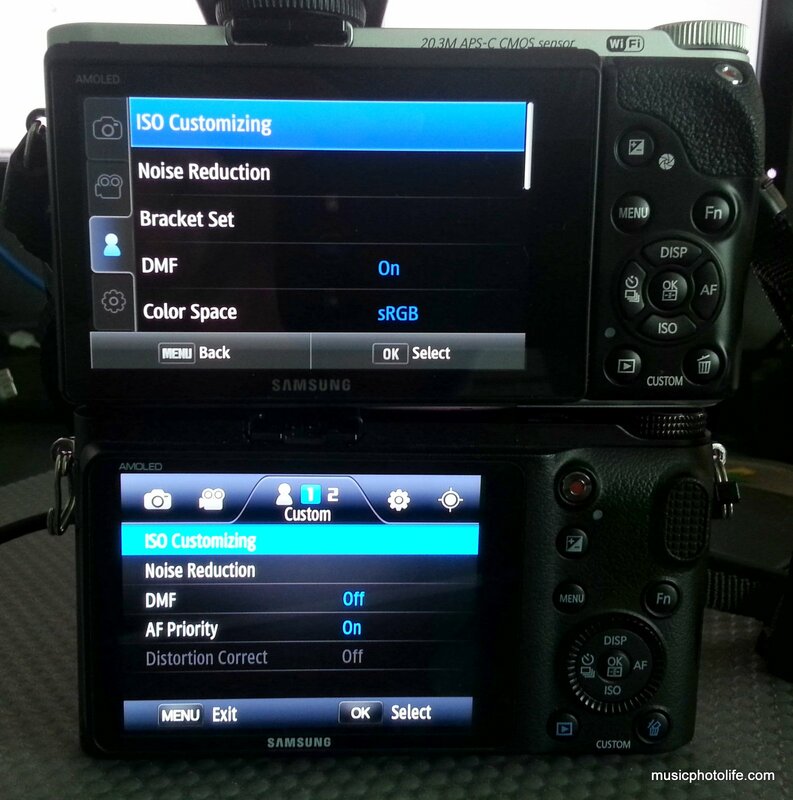 Thankfully, the NX300 introduces many improvements and finally sets many things right. Touch screen: a long-overdue feature, and with it, many touch features come with it, like touch focus, touch shutter. The menu is also redesigned to make it touch-friendly, and the touch response is pretty good. It's so much easier to use the on-screen keyboard to compose messages and upload images over Wi-Fi. You can also crop images in any dimension. I would wish there is an option to disable the touch screen. Some buttons are also duplicates to the hardware buttons, like Menu, Fn buttons. AutoShare: image streaming to your smartphone as you shoot is possible, and works just like third party Wi-Fi SD cards. This makes the Wi-Fi image transfer function a lot more instant and less hassle. Low-noise high ISO: Improved noise reduction for high ISO. NX300 can now shoot at ISO 25600 but the output is not usable. Auto ISO limits up to ISO 3200, so you would need to manually select higher ISO. RAW processing: when shooting with RAW, the NX300 does not freeze as long compared to the earlier models, as it flushes the buffer faster to allow new RAW shots. USB charging: You can now charge the camera with portable power packs. The NX300 body consists of aluminum-metal finish, rubber texture, and plastic base. This is in contrast to the NX200/210 that sports full aluminium body. But I have to admit, the NX300 retro design is more appealing. 8.6fps: Improved from 8fps on NX20, giving you a little more frame to freeze the moment. 1/6000s: Improved from 1/4000s on most models (1/8000s for NX20). Hybrid auto-focus system: touted to improve focusing speed, but based on my experience, the improvement is not noticeable when compared to NX20. Peak Focusing: helps in manual focusing, where the areas in focus are highlighted in colour. HDR: Available under Dynamic Range option. NFC: allows faster pairing of devices for Wi-Fi connection. 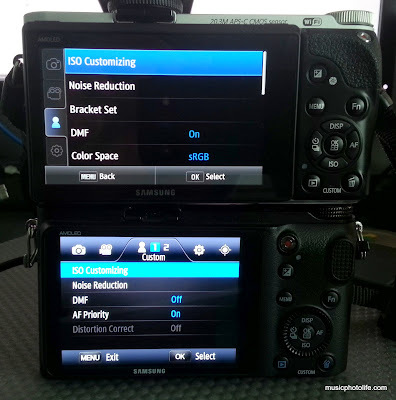 A single Samsung Smart Camera App that allows you to connect the NX300 to your smartphone for MobileLink, Remote Viewfinder, and AutoShare. Previously, you need to run separate apps for the respective features. 280g, including battery BP1130, which is a newer model from NX200/210/1000. It appears the older battery BP1030 cannot be charged using the NX300 USB port. Neither can the new NX300 battery be charged on the older battery chargers. However, both batteries are identical in size and can work with the cameras. MAGIC Mode, a feature that lets you capture an image within a pre-defined frame. Movie Mode, the dedicated mode is redundant anyway, since you can press the video record button in any mode. i-Function Mode removes "i-Effect" which basically allows selection of existing Scene modes, and adds a new feature called "i-Depth", which the user controls depth of field via Defocus to Sharpen slider. The Smart Panel (with the press of "Fn" button) has lesser icons on display, which I suppose is to provide better touch experience. As a result, some functions have to be adjusted in Menu. The Samsung NX300 is definitely a much improved mirrorless camera, and a good looking one too. The camera performs a little faster than the older models, its touch screen brings about new interaction experience, the images are cleaner at high ISO, the hardware buttons remain largely unchanged for the benefit of the traditional users like myself. I will be comparing images with the older NX cameras as well as some competitor models to find out whether Samsung NX300 matches or surpasses them. Subscribe to my blog on Facebook to receive the latest updates. Wow, this looks like a great camera. I bought my mirrorless Ricoh 2 years ago and it is quite nice too. I like mirrorless as the telephoto lens are very short. So no one suspects that i am actually taking a close up on them!